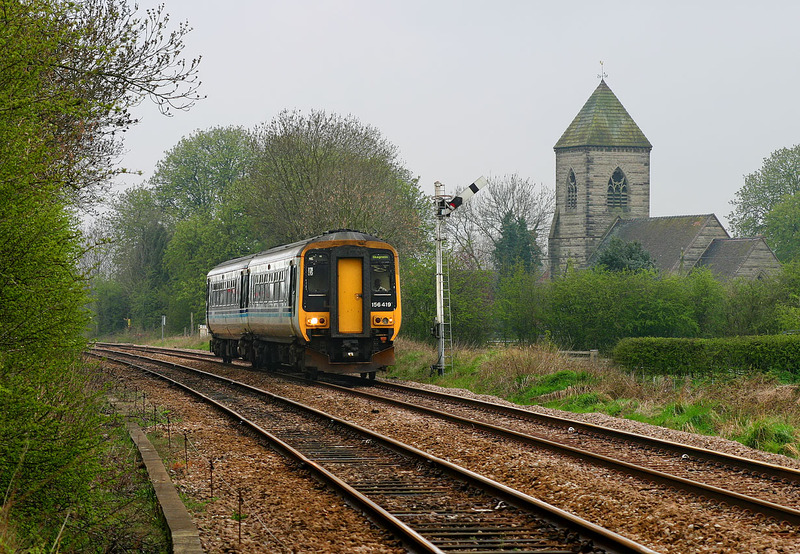 156419 passes Scropton church on 17 April 2004 with the 08:45 Manchester Airport to Skegness Central Trains service. The railway runs through the middle of Scropton village, with two footpaths across the railway. One can be seen to the rear of the unit, and the picture is taken from the other one.